How to avoid four common travel fees when you travel internationally. camera (Corbis) Learn to avoid common international travel fees. intro: Airfare and passports aren't the only reasons you'll pay more to travel abroad. International travelers have to grapple with a diverse throng of additional fees that increase the cost of everything from currency exchange to credit card usage. 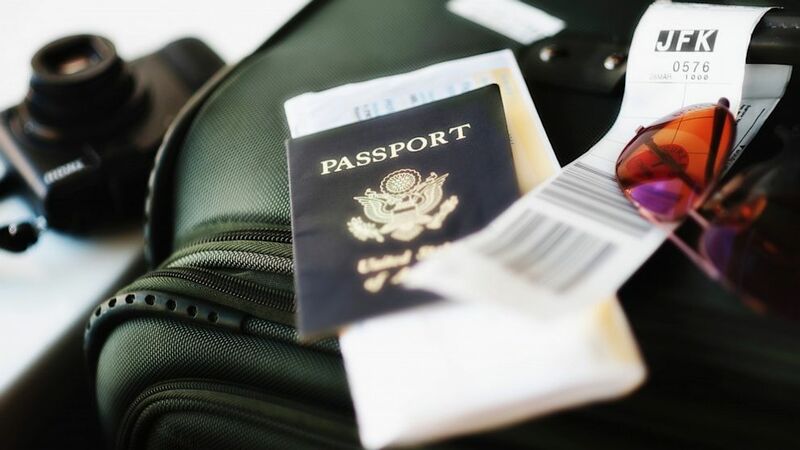 Here's how to avoid the most common fees plaguing international travelers today. Even as the world gravitates toward a paperless, plastic-dominated system, credit cards are no panacea for all our transactional needs. The question is: What is the best way to obtain cash while traveling abroad? First, refrain from traveling with mass quantities of cash. Taking out a bunch of paper money all at once will allow you to cut down on fees from numerous ATM withdrawals, but it opens the door for loss and theft. That being said, international ATM withdrawals can incur a charge exceeding $5 per transaction. Fortunately, there are ways to utilize ATMs without being charged exorbitant fees. If your bank has international partners, you may be able to make ATM withdrawal free of charge. Members of the global ATM alliance -- Bank of America, Barclays, Deutsche Bank, BNP Paribas and others -- allow customers to conduct free transactions at their partners. Another easy way to avoid ATM fees is by keeping money in a global bank that has international locations (HSBC, for example). Community banks and credit unions often offer checking accounts that don't charge international ATM fees. Check out some of these local institutions. Credit unions, as not-for-profit organizations, usually have the freedom to offer some fantastic financial products. Frequent travelers might consider opening a high-yield checking account with Charles Schwab. At the end of each month, account holders are reimbursed for international ATM charges. Credit cards are an invaluable tool, but be wary of the dreaded foreign transaction fee when traveling abroad. Many credit cards will charge a 3% fee on every out-of-country transaction. Avoiding this fee is a matter of carefully selecting which card you adopt as a travel companion. When applying for a card, the fee will be readily disclosed in the Schumer box under the card's terms. The BankAmericard Travel Rewards: This is the best no-fee, cash-back card with no annual fee or foreign transactions fees. Travelers get 1.5 points per $1 worth of purchases on top of a 10,000-point sign-up bonus. Capital One Credit Cards: None of the Capital One credit cards have foreign transactions fees. We especially like the Capital One Venture, which has a 10,000-mile sign-up bonus and two reward miles earned per dollar. No foreign transaction fees and travel rewards – what's not to love? quicklist: title: Wire transfers text: In the event you need to transfer money from one bank account to another for easier overseas access, a wire transfer can be a fast and secure solution. You simply provide the bank some basic information (including account number, ABA number and contact info), and the bank transfers your money to the account of your choosing. Wire transfer fees tend to be a flat per-transaction rate, often around $20 to $25. If you need to perform a wire transfer, do so in as few moves as possible to reduce the fee total. Another place travelers lose money is in exchanging U.S. dollars for foreign currency. Some businesses and institutions charge significantly higher rates than others. To minimize exchange fees, you need to know where to go. Begin by Googling current exchange rates for your destination. Rates can fluctuate without warning, but starting with a general ballpark number will help you spot scams and rip-offs. Many travelers will be more comfortable changing currency at their local bank in the States, but that usually isn't the cheapest route. You might want to change a little cash beforehand to cover initial travel expenses, but wait until you arrive at your destination to swap the bulk of it. Once you land, you'll have a few options. Airports and hotels often offer exchange services, but the rates won't be great. You're better off exchanging currency at a local bank in the area. Travel pros frequently recommend bypassing the physical exchange process and using ATMs instead. While ATMs sometimes offer the best deal, you won't know the exchange rate until after you've made your withdrawal. The only way to guarantee a good rate is by doing a little preemptive research. Annie Wang is a writer for TravelNerd, the travel arm of NerdWallet, a personal finance company dedicated to helping individual consumers make informed decisions with their wallets.